As reported by Merkle. and Search Engine Land, Google has rolled out an experimental ad campaign that delivers the ability to target searches locally without keywords. Appearing as an option for some storefront-based businesses operating in certain qualities, this new model does not require advertisers to bid on specific keywords to attract users’ search queries; instead, Google will present options to searchers based on information in the Google My Business listing. 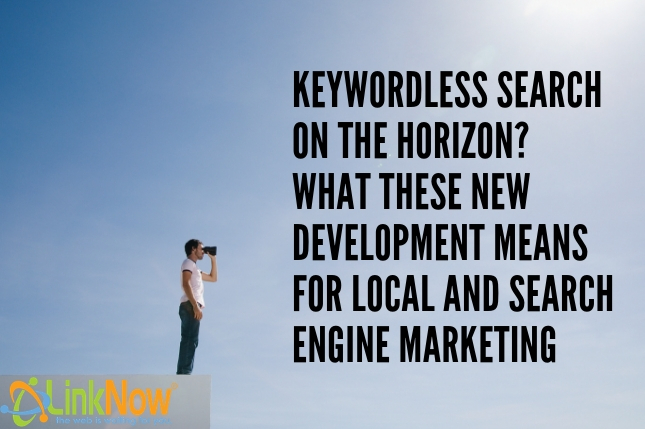 For example, rather than bidding on keywords such as ‘coffee’ or ‘local café,’ café owners will be able to select these new ad categories, which will present searchers with location info when they search words and phrases associated with the type of business. This can provide for broad and flexible search results—without escalating into bidding wars over the most popular local search keywords. We’re not sure exactly how Google has determined which categories of business to offer this service to, or if there are certain ‘trigger words’ or phrases in a business’s GMB info that designate them as a good candidate for these types of ads. Furthermore, we’re not even sure whether or not Google will add this feature as a permanent service; Google runs product experiments all the time that don’t end up making the cut. There is one thing we know for sure, however: this indicates Google’s abilities with machine-language processing are becoming so complicated that it’s time for local businesses and search engine marketers to start looking towards a future where keywords are no longer relevant. We recommend you click through to Merkle’s page that we’ve listed above; they’ve compiled all the search data from these new keyword-free local searches into some helpful infographics. The main takeaway, however, is that the vast majority of these types of ads were provided to mobile and tablet users—a combined 76% between the two device types. While desktop users also represented a healthy share of 22% of the traffic put up by these new ads—and a healthy 5.5% of the click-through rate—click-through rates were significantly higher for mobile and tablet users, averaging at about 8.9%. Given that the future of search is mobile and voice-assistant anyway, and that customers are more likely to be searching for storefront business categories when they’re out and about on their phones anyway, these results make sense. Can My Business Benefit From This? Some businesses are more likely to benefit from this than others. The competition will be tight for some categories. Companies that offer a broad scope of products may be put at a disadvantage; intuitively, Google is less likely to provide these products for business types that don’t immediately provide a customer with info on what they’re looking for. For example, if you run a small-engine repair studio, but you specialize in vacuums, odds are you won’t be offered a chance to try one of these new keywordless local ads; there’s too great a risk for Google that they display ads to the wrong audience given that you work in a broad category but within a particular niche. So: do expect the chance to try these ads if your business neatly slots into an existing consumer category, but don’t expect to take advantage of branded queries. If your shoe store only sells Nike products, you’re out of luck. What Does This Have To Do With Google My Business? As mentioned above, these ads appear to be gleaning information from GMB listings to determine the audience and market that’s right for these ads. It’s similar to Local Pack ads in that way but appears designed to appear in both Google Maps and regular Google Search queries. Brick-and-mortar operations always had the option to add location extensions to fine-tune local search queries, but these seem more straightforward to use for the average technologically-challenged small business owner. What this indicates for sure is that optimizing your GMB listing for storefront businesses is more important than ever—and that’s whether or not you’ve already a user of paid search campaigns through Google Ads. After all, with the addition of business descriptions and ‘menus’ and prices for GMB listings for a wide variety of business categories, it’s evident that Google is banking on the fact that the future of search is local. Optimizing your GMB listing to include keyword-rich business descriptions as well as a breakdown of services you offer at the prices you offer them is right for your business in two ways: it may allow you to take advantage of this new ad category, but it will certainly ensure your business stays competitive in local searches. Providing this information isn’t just great for your business—it’s also great for potential customers, who are clicking through to websites less than ever before. Making all the relevant information about your business visible from the Search Engine Results Page (SERP) drives visits to your business both on- and offline. While we can’t promise that optimizing your GMB listing will lead directly to taking advantage of this powerful new ad category, we can guarantee it’s the right thing to do as we move into the future of search. How Do I Optimize My Local Listing To Try To Obtain Local Keywordless Search Ads? This part is easy enough. Again, we can’t promise that following these steps will get you the option to try one of these new ads; after all, Google still seems only to be offering these on an experimental basis, and there’s been no word among the major search engine websites whether or not these ads are going to become a wide-spread or regular feature of Google’s ad options. The first step towards achieving your goal of activating keyword-free local search campaigns is to claim your Google My Business listing. If you have brand new business—started within the last six months or so—it’s possible that there won’t be a GMB listing created yet, but odds are that one exists for your business, whether set up by someone else at your workplace or by a customer looking to add their favourite brunch spot to their favourite search engine. Verifying a listing is easy. 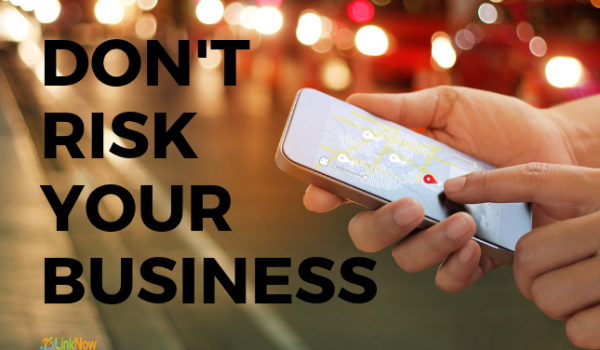 You need to confirm the address and phone number of your business. To do this, Google will phone your company and give you a PIN that you can input on the verification page, or, if you don’t mind waiting for snail mail, you can have that same PIN sent to your business address on a postcard. You can find in-depth details, including a tutorial video, here. From there, the hard part is over—the next step is to add your business’s contact info! Where your business is located: the street address if your business has a storefront, or just the city, state, and postal or ZIP code if you’re an at-home operation. Don’t forget to set a business-area radius! You don’t want customers calling you from Kansas City if you’re located in Oklahoma City, and vice-versa. Your business hours: This is one of the most crucial pieces of information to include. Customers will be pretty mad if they drive to your location only to discover you’re not open. Include holiday hours too, especially if you’re open on holidays! Business Category: This is one of the most critical aspects of your GMB listing. 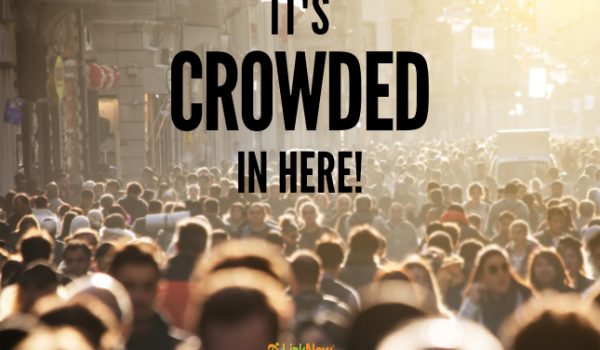 Customers and Google alike need to know what you do! Choose up to four if they apply, but don’t add categories that you don’t do—false advertising won’t help you get clicks or calls. Photos: put your best foot forward with attractive images that get to the heart of what you do. Business description: keep it simple and succinct. Add a keyword-rich description that’s under 250 words here. Services page/menu: have distinctive menu items or uniquely-priced features for your business category you want to show off? Add them here. Customers love making informed decisions, so the more information you can provide them, the better your business looks. Don’t worry if you don’t fill it all out at once, or if you change your hours. Once your listing is verified and tied to your Google account, you can make changes at any time. Just log back in and edit to your heart’s content—and while you’re at it, add a new GMB post or some photos! Google favors businesses with active, regularly-updated listings, so edits and change can only benefit you and your bottom line. Is Organic Search Without Keywords On The Horizon? So it’s still very unclear what these keyword-free local ads mean for the future of search. We don’t even have confirmation that this ad product will be rolled out widely yet, after all. However, some SEOs are calling this the advent of keyword free searching in general, including for organic search. That’s a crazy future to imagine, but it might also be the one we’re living in. Soon, at least. Google’s (and other search engines) natural-language processing powers are increasing exponentially. Even since 2010, the changes in search have been dramatic and difficult to keep up with. What may displace keywords as the future of search are highly sophisticated algorithm-based choices that can directly target your ad to specific audiences searching for specific services in specific locations. You don’t need to know that they’re looking for “coffee near me” to know they want a coffee near them—Google will be able to extrapolate this data from other users to predict whether a given searcher is interested in local cafes and place targeted ads without a single keyword making it onto an ad campaign. It’s a strange future to think about. But in many ways, it’s the logical extension of the sorts of changes Google has been rolling out for the past decade. And as we see Google push to exclude organic traffic from search results, it’s a worrying sign for SEOs and content marketers in general. Businesses of the future will have to adapt. Unfortunately, we don’t yet know what we’ll need to adapt to. But this might be a good place to start looking. I Can’t Figure Out My GMB Listing Or How To Start A Campaign With Google Ads. How Do I Get Help? Can’t tell the difference between keywords and Adwords? Struggling with setting up your first—or fifth—pay-per-click campaign? LinkNow Media offers clients complete web design and search engine marketing packages, including local listings, GMB management, and pay-per-click ad campaigns, all at incredible monthly prices that can’t be beat. We’ve built our business to nearly 10,000 clients over the past decade, and every single one of our customers is free to leave at any time. With no monthly contracts, we work hard month after month to keep our clients satisfied—and at the top of the SERPs. Want help bringing your business online? 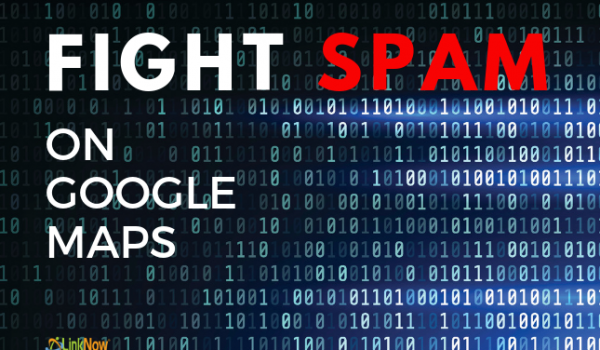 Need to troubleshoot setting up a keyword-free ad on Google Ads? Pick up the phone and give us a call today to get started.